Following the launch of the UK adaptation of SfN’s Core Concepts of Neuroscience in November, BNA representatives attended the annual Association for Science Education (ASE) conference in Liverpool last week. The ASE Annual Conference attracts science educators from across the UK and beyond to share good practice, research and practical ideas for the classroom. The conference hosts workshops covering all phases of education (Ages 0-19) and professionals across their careers from new teachers to Headteachers to education researchers. 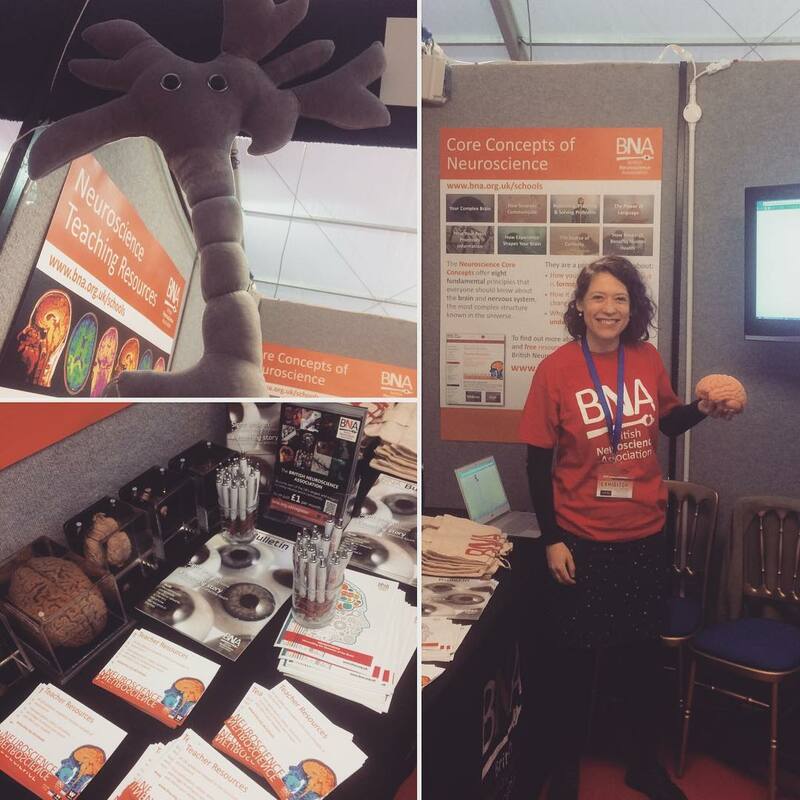 The BNA was delighted to meet and share their free resources for teaching neuroscience at Key Stages 4 and 5 (ages 14-18). It was a pleasure to see so many teachers engage with the topic and show an interest in the brain samples on display. Although this project marks a first for the BNA in tailoring education resources specifically to the UK curriculum, plans are in motion to extend this work. These include helping support neuroscience teaching at Key stages 1-3 (ages 5-14), and the development of a neuroscience program for outreach into schools.